Hothouse Flower is the eighth fragrance in the alphabetical series from San Francisco-based niche line Ineke, and the description — a hothouse elegance wrought from an overindulgence of gardenia — sounded very nearly perfect. Ineke is one of those in-between sort of niche lines: the fragrances are made with care and they don't smell like all the money went towards the promotional efforts, but they're neither outré nor esoteric nor difficult to wear; it's easy enough to imagine them doing well on the counter at Nordstrom. Oh, and they're under $100 — and as we all know, $100 has long been the new free when it comes to perfume, especially niche perfume. The only one of the line I've wholeheartedly adored so far is Field Notes From Paris, which Kevin (and everybody else, I guess) thinks of as an orange blossom fragrance, but which I think of as one of my favorite patchouli-tobacco blends (actually, my only favorite patchouli-tobacco, neither note being a usual favorite of mine). Hothouse Flower is an "almost" for me. The opening is greenery, dewy and fresh and clean, with a very light tea note (I'm sure I would not have thought of tea if it wasn't listed in the notes, which also include green foliage, cypress, absinthe, gardenia, galbanum, fig, frankincense, guaiacwood, musk and corn silk). The gardenia is there, but it's likewise dewy and fresh, and not the photorealistic, demanding hothouse diva you may love or hate from other perfumes.1 Everything else is very muted: there is a touch of fig, but no more, and the incense — indeed, the whole base — is mild and airy. I do not notice the absinthe, and would not know the corn silk in any case. Hothouse Flower is a pretty, eminently wearable middleweight fragrance that should work in any season. It's a gardenia you could wear to the office, with enough elegance to carry you elsewhere as well; for many people, that is probably a welcome thing. If it were a bit less aggressively fresh in the early stages, I would like it much better, and I would say the same for some of Ineke's earlier fragrances, like After My Own Heart and Balmy Days & Sundays. If those fragrances suited you, I highly recommend that you try Hothouse Flower, and vice versa. 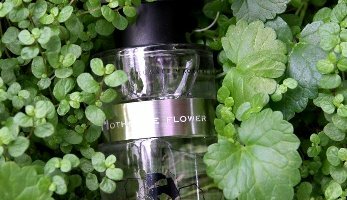 Ineke Hothouse Flower is available in 75 ml Eau de Parfum, $95. The lasting power is perhaps a little slight for an Eau de Parfum, but it's reasonable enough. Ineke has a very generous sampling program if you buy directly from their website: $25 gets you all eight samples, beautifully packaged, and you can apply the entire amount towards a full bottle purchase. For buying information, see the listing for Ineke under Perfume Houses. 1. Or from the real thing: I can vouch for the fact that a gardenia bush right outside your window can be headache-inducing on a hot summer night. Oh how I hoped this would finally be THE gardenia for me, I love Ineke’s Evening Edged in Gold, After My Own Heart & Field Notes so I was just sure this would be perfect gardenia. But I get zero, zip, nada gardenia from it. Nice green floral scent but not a hint of gardenia for me. Oh, shame. I would not say I get anything like “real” gardenia — it’s not creamy or indolic or “big”. It’s closer to the idea of tuberose in Diptyque Do Son, only this is gardenia in humid air instead of tuberose in water. What a shame. I had hoped the gardenia was prominent as well. I really disliked Field Notes but I LOVE Evening Edged in Gold. EEG though is a bit much for every day, so as much as I adore it I dont wear it THAT often. I like it because osmanthus can be too ethereal but with the saffron it is wonderfully lush here. First in Fragrance in Germany carries the line though. I do enjoy Field Notes as well, almost too much tobacco, other than that, good! EEIG is super good. I really liked that cypress note in Hothouse, didn’t last long but I really liked it! I am not a big white flower person, except for jasmine. I really liked the warmth of Hothouse, and I like Ineke’s style… but I don’t do those white flowers! I will try Poet’s Jasmine but want a jasmine in her A-H line as they seem more concentrated from what I have smelled. Don’t want a tuberose though! I wish I loved Evening…I adore osmanthus, but that one just didn’t speak to me. Poet’s Jasmine is more of a summery thing, and I like it but have plenty of other scents in that category so have not been hankering after it like I might otherwise. Like you, I love Field Notes from Paris. The “orange blossom” in it is in fact tobacco flower – which smells similar. I had the pleasure to smell the real blooming thing (Nicotiana fragrans is I believe the scientific name for it) and it’s divine and indeed similar to orange blossom. Her garden is also the only place where I was able to smell fresh, real living osmanthus flower. There is no perfume in the world that truly captures that scent – a tricky one indeed – except for very rare incense sticks that my friend brought me from Japan. After My Own Heart is also beautiful and I love the raspberry sweetness in there. Interesting — I used to grow Nicotiana, it really does smell fabulous. Ooooh, I’ve been waiting for a good review of this one – thank you! It’s going on my must-sample list. I adore Balmy Days & Sundays, so sounds promising for my nose. It might be perfect then — hope you’ll love it! I love gardenias but agree that an overdose can be deadly. I’ve been intrigued with Ineke of late, and this sounds very worth a try. You must be living somewhere warmer and sunnier than Vancouver not difficult, if I may add – where I can rarely get them to bloom. I like this one. I love Field Notes from Paris though. I do get gardenia in this but it’s not the big white floral gardenia. It’s more of gardenia at a respectable distance, if that makes sense. It’s there but there’s a lot of green, humid notes to temper it. Some days the BWF’s are just too much. This doesn’t seem to cross into that territory. Totally agree…this is much quieter. I was disappointed in this one. I’m not familiar with the line but got a sample of this and was reminded of something awful that girls in high school used to wear. Dry, synthetic fresh, maybe it was Eternity? In any case, my nose disliked it then and dislikes it now! Not a whiff of gardenia in this to me either. I really don’t like fresh notes either. Try Field Notes, though! Ineke hit the nail on the head with this one. I live in the South (USA) and this is very much the heady fragrance of a gardenia hedgerow growing in an equally heady mulchy flower bed on a hot humid summer night. For me this fragrance is best described in one word – LUSH, I love it! It’s on equal footing with Field Notes from Paris.